I needed a font for a book project. None of the existing fonts with diacritics (including my own) fit the bill – for design and technical reasons. 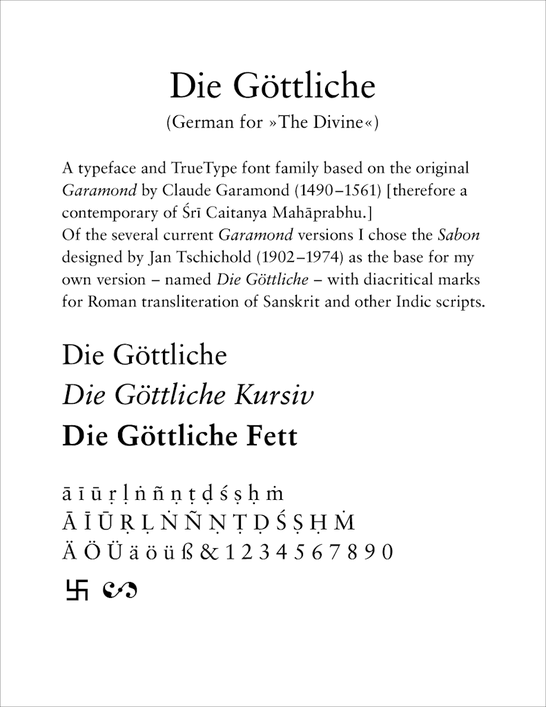 So here is „my“ new typeface and font family “Die Göttliche” based on the original Garamond that stood the test of time for five centuries, and counting.